“After Dark” brought people together from all over the world to experience the forbidden pleasure of sneaking around Tate Britain, one of the world’s best-known art galleries, late at night. 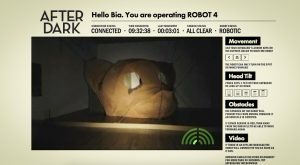 The live broadcast event, held over five consecutive nights, enabled over 100,000 people to control and “see” through the eyes of one of four custom-built, video-streaming robots from a web browser. 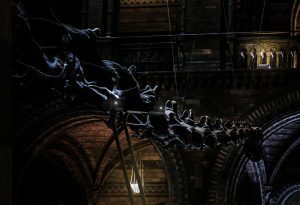 While the robots allowed visitors to “see” and explore, four art experts provided live commentary over the video streams, creating another level of engagement and experience that would be impossible during daylight hours. 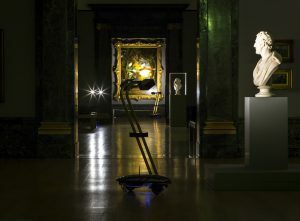 “After Dark” was pitched to Tate Britain in a response to the gallery’s call for ideas to engage new audiences in art. The winning commission also helped the gallery to position itself as a digital innovator. Col. Chris Hadfield, Canadian astronaut and former commander of the International Space Station, was brought on board to help kick-start the media campaign for the event. 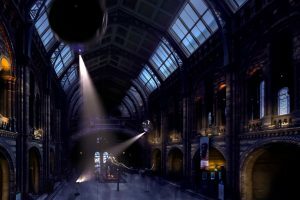 Bespoke simultaneous live online and real-world events, video and remote control broadcasting technology was created to realise “After Dark”.